Frank Rinderknecht and his team at Rinspeed will unveil a new concept at the 2015 Geneva Motor Show. The exciting concept is dubbed Budii and it’s based on the BMW i3. Though the show may still be several months away, the Swiss powerhouse is already giving us a glimpse of what to expect. Budii aims to “redefine the relationship between man and machine”, pointing to a self-driving car. The company says that Budii will feature a drive-by-wire steering wheel that swing out of the way to the center of the dashboard or to either side. The design is said to be completed by Mansory. Autonomous driving undoubtedly offers the opportunity to drastically diminish some of the drawbacks of private transport. For example, the number of traffic accidents could drop worldwide. But although it will be less prone to err than humans, even the best technology will not be perfect. “That is something we will have to accept,” believes the boss of Rinspeed, the Swiss automotive powerhouse of ideas. “We should not develop a blind, but rather a healthy faith in the new capabilities of the hardware and software.” Because in his estimation, cars will do just what we do: “They will keep learning each day, and as a result will get better and better at mastering the complex challenges of modern-day private transport.”The Swiss company will show the world what such a learning and personalized “friend on wheels” might look like at the 2015 Geneva Motor Show with the trans-urban “Budii” concept car. The electrically powered eye-catcher is intended to become the driver’s “best buddy,” and its autopilot the perfect chauffeur that quickly adapts to the habits and preferences of its “boss.” To this end, “Budii” will feature a host of innovations, which following a long-standing Rinspeed tradition will revolve around humans and their needs. In addition, it will take data from its environment and the “experiences” of other vehicles along its route into account. The car for the city and surrounding countryside will handle the often inconvenient daily routine trips independently, while the “pilot” will still be able to take the wheel as usual on fun weekend trips. The ingenious twist: the steering wheel is supported by a state-of-the-art sensitive robot arm, which enables both the driver and the front passenger to steer. And if nobody feels like steering, it is simply parked in center position. The Geneva Motor Show will take place from March 5 through 15, 2015. 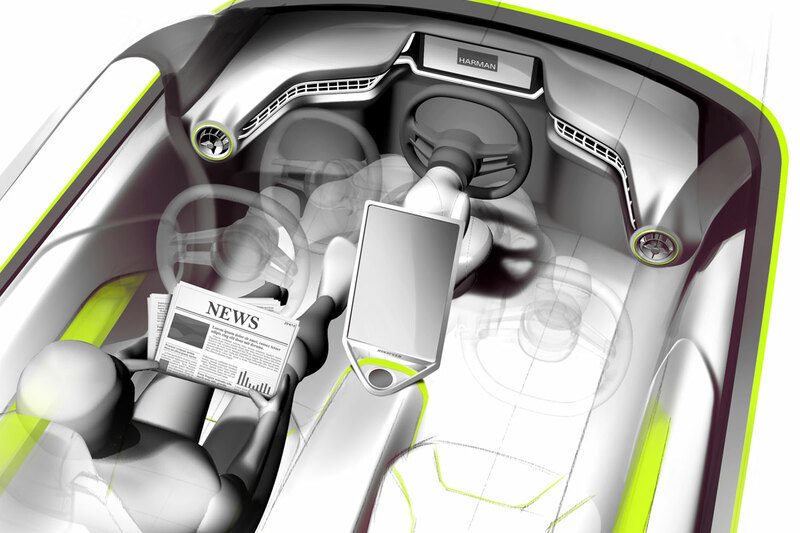 The Rinspeed “Budii” is already the twenty-first proprietary concept vehicle of the Swiss “Think Tank” and “Innovation Lab”. 1 Comment on "Rinspeed Reveals Budii Concept Based On BMW i3"
Who would want to base their car on the i3?